Progress MS-09 cargo spacecraft will be detached from the International Space Station (ISS) on Friday. On the same day, its debris that would not burn down in the atmosphere will be flooded in the non-navigable region of the Pacific Ocean, Russian Central Research Institute of Machine Building told TASS. "In accordance with the program of the flight of the Russian segment of the ISS, the command to undock the ship from the station will be issued at 15:53 Moscow time, at 15:55 Moscow time the physical separation of Progress and ISS should happen," the Institute said. Progress MS-09 has been a part of the ISS since July 10, 2018, when it was launched from the Baikonur Cosmodrome. The launch date for the next Progress MS-11 cargo ship has not yet been determined, since Roscosmos has not yet approved the schedule of cargo and manned spacecraft flights to the ISS for 2019. The Progress MS-09 cargo spacecraft undocked from the International Space Station (ISS) on Friday, was deorbited and splashed down in a non-navigable area of the Pacific Ocean, the Central Research Institute of Machine-Building TsNIIMash (the main research center of the Roscosmos corporation) informed TASS. "Wreckage from the Progress MS-09 spacecraft that did not burn up in the atmosphere splashed down in a non-navigable area of the Pacific Ocean," the research center said. 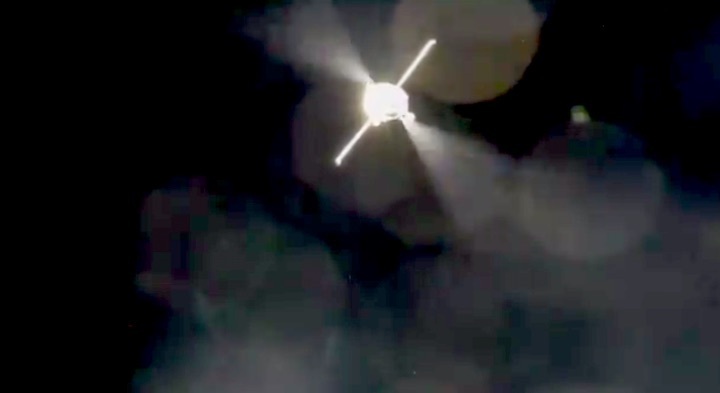 The spacecraft undocked from the ISS at 15:55 Moscow time. Progress MS-09 had been attached to the ISS since July 10 after being launched from Baikonur, in Kazakhstan, earlier that day. 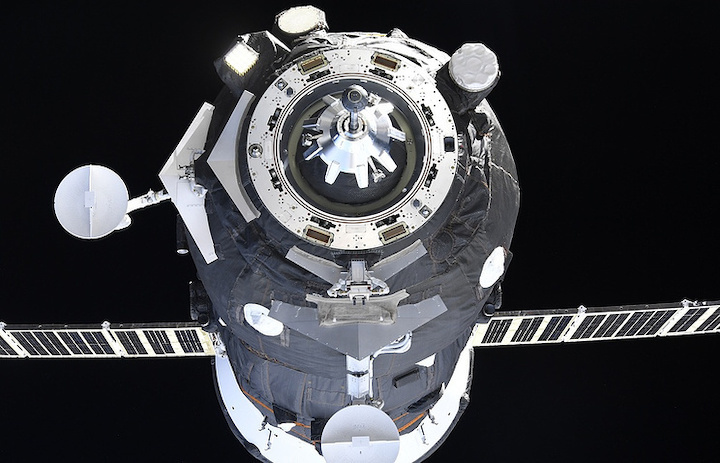 It was the first time a cargo spacecraft had made just two orbits around the Earth before docking, after staying in flight for just 220 minutes. On all previous occasions, the Progress cargo vehicles followed a two-day flight pattern (34 orbits around the Earth) or six-hour pattern (four orbits). No date for the launch of the next cargo spacecraft, Progress MS-11, has been set yet. Roscosmos has not yet finalized a timetable for cargo and manned spaceflights to the ISS for this year.